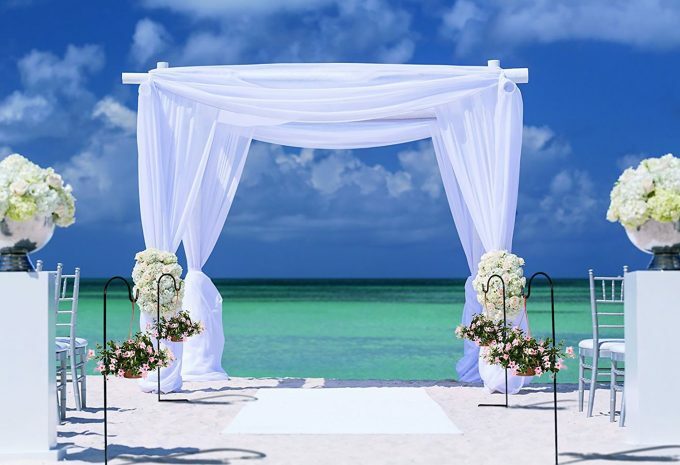 Want to make a hanging display for your outdoor ceremony? Today you’ll see how easy it is to make your own! Emma here and today we’re talking about how to make a DIY hanging photo display for your wedding aisle or path. This DIY comes from the latest Ask Emmaline question submitted by Anna. She is helping her future sister-in-law and wants to decorate a wooded or field trail, depending on which they use as the ceremony entryway for guests. The bride and groom would like a hanging photo display along the trail for guests to see as they enter the ceremony area. Anna wants to know how to do this in a beautiful yet cost-effective way… so we got to work! 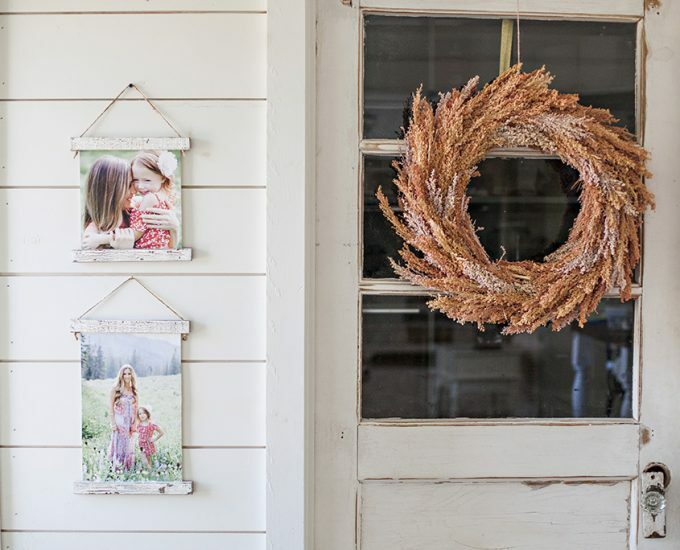 Today we’re sharing how to make your own hanging photo display to use as a path to your ceremony, as wedding aisle decor, or as a decoration at your outdoor wedding reception. To make this a reality, you’re going to need two things: sturdy hooks for the ground and hanging photo frames. Since you’re deciding between either a wooded trail or field, the ground is going to be filled with soil, rocks, wood chips, mud — anything! — so you’ll want something very sturdy. Also, we knew it had to be an affordable option, as well as something that stands tall enough for guests to really notice (and not have to bend over to see the photos). The solution? These shepherd’s hooks we found, with a set of 12 for around $40. Twelve is plenty; these hooks are sturdy enough to hold mason jars or lanterns, so they’ll definitely be perfect as a hanging photo display holder. 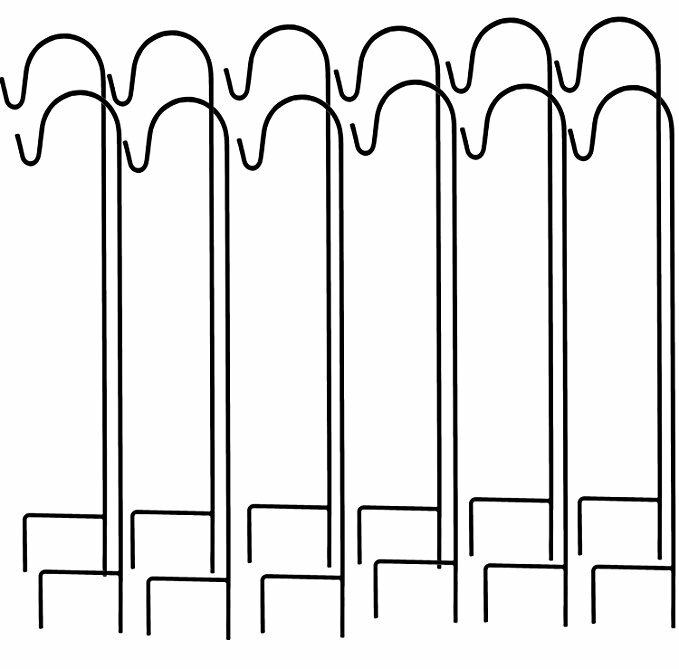 Now you have the hooks — step one. Next, you’ll need hanging photos to make your display come to life. 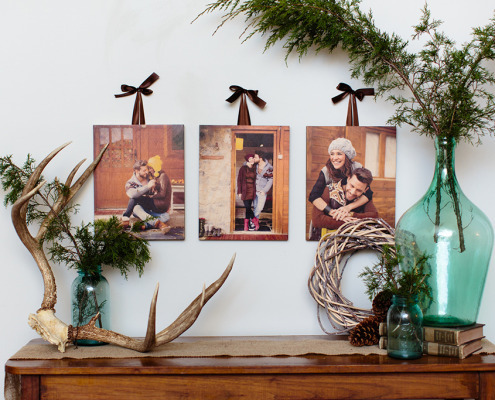 You can make beautiful custom hanging photos printed on wood or canvas from Photobarn, and we absolutely love these. 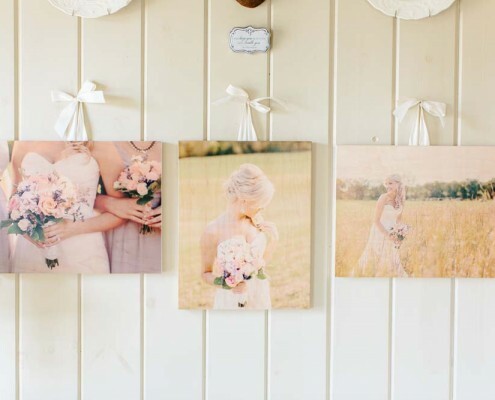 Since the ceremony is being held in a rustic setting, we knew these hanging canvas prints would look perfect hanging on the shepherd’s hooks. If you’d like something smaller, you can also get these hanging photo display photos featuring a ribbon at the top. Available in many sizes, with 5×7 or 8×8 being our top picks for this project. You can get these at 50% off with code WALL50 for a limited time (through 7/31) here. 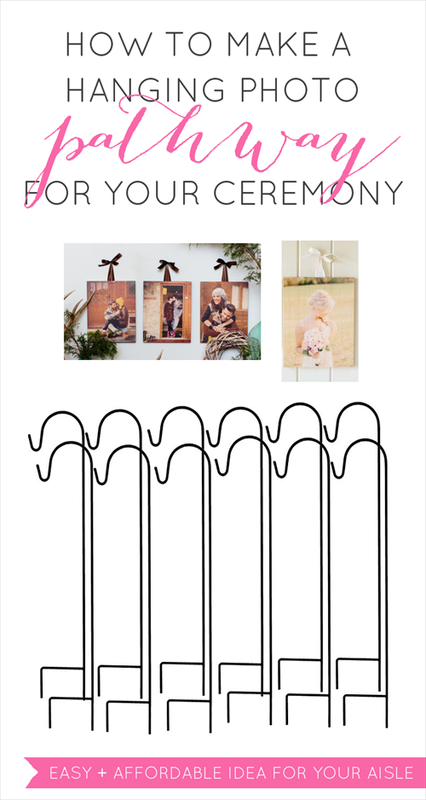 To make your ceremony photo display come to life, simply customize and order your hanging photos here, along with the shepherd’s hooks. 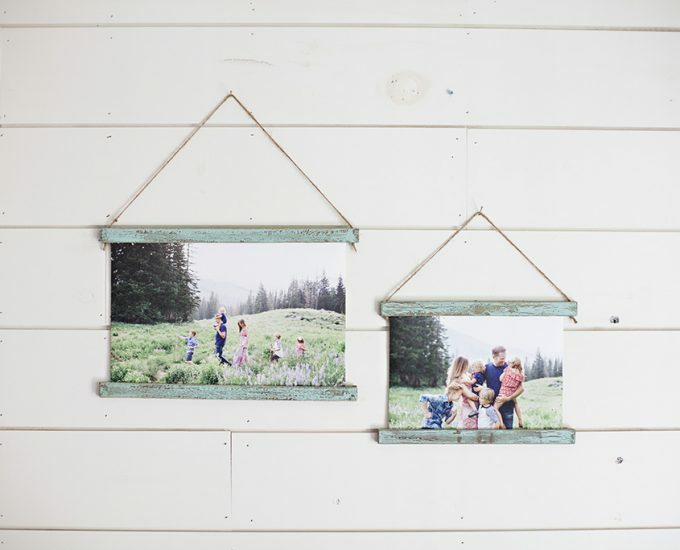 You’ll need as many photos as hooks (if you decide to use them all, you’ll need 12, but it will depend on the length of your aisle, path, or trail and how much space you’d like between each one). Hang a photo on each hook the morning of the wedding and you’re all done! P.S. If you have a question for us, just Ask Emmaline and we’ll swoop in to help! 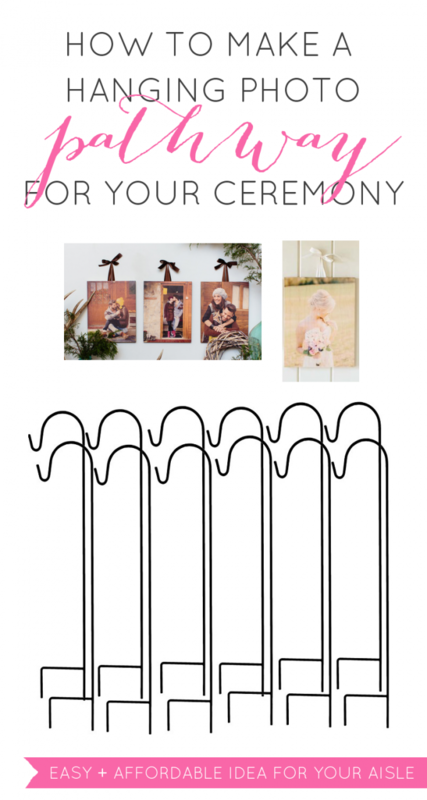 Discuss: What do you think of this ceremony photo display for weddings?